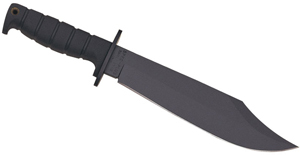 The Gerber Myth Series is a new line of hunting knives and gear designed for hard use out in the field. The line incorporates a grippy rubberized handle, well made plastic sheath, and a number of different blade designs to tackle any task a hunter requires of their edged tool. 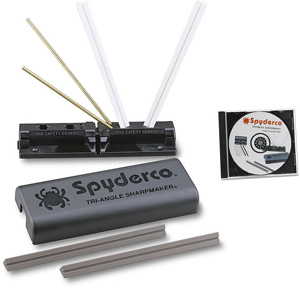 The sheath for each knife comes with its own built-in carbide sharpener to touch up the edge when necessary. The Myth Series also features a hands free 28 lumen headlamp for low light hunts and a folding ceramic/carbide sharpener with a diamond coated area for sharpening serrations. These good looking and functional tools will not break the bank and can be found at www.knifecenter.com. It seems like knives are getting more and more complex. Sometimes you just need a little simplicity. Kershaw really takes this lesson to heart with the introduction of the Field Knife Hunter and the Skinner. These knives feature a single piece of metal with G-10 scales for grip. This simple design means that there are fewer ways to go wrong. 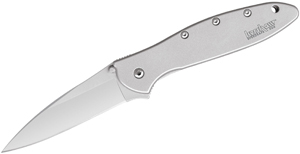 The full flat tang adds stability, and the textured G-10 scales improve grip. The long edge on the Field Knife makes it great for slicing and general tasks, while the deep belly on the Skinner Knife is designed for skinning, as the name suggests. Both of these American made knives are going for under $40.